Place an Column in post/page/portfolio post. Please follow below steps to use “Column” shortcode. Step 4: Click on Brando tab, it will show all shortcodes of Brando theme. Now click on “Column” shortcode. 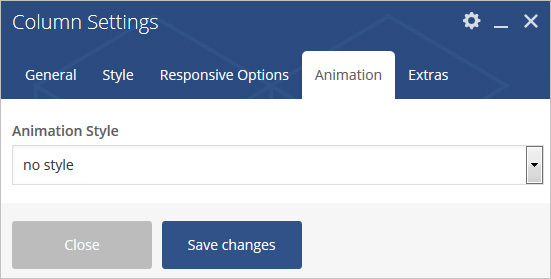 Step 5: Follow below inputs/settings and see “Column” preview in frontend. Column Style – Select column style like ( color, image ). 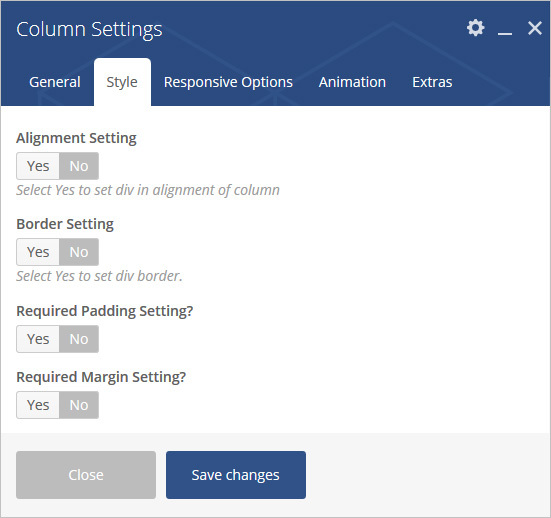 Background Color – Set column background color ( if column type color is selected ). Background Image – Set column background image ( if column type image is selected ). 100% Full-width, Without Container – Set Full-width without container. Centralized Div – Add center-col class in column. 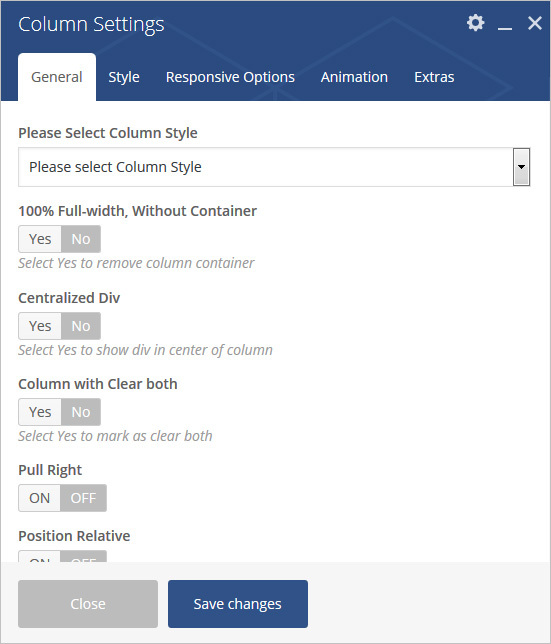 Column with Clear both – Add clear-both class in column. Pull Right – Add pull-right class in column. Position Relative – Add position-relative class in column. Overflow Hidden – Add overflow-hidden class in column. 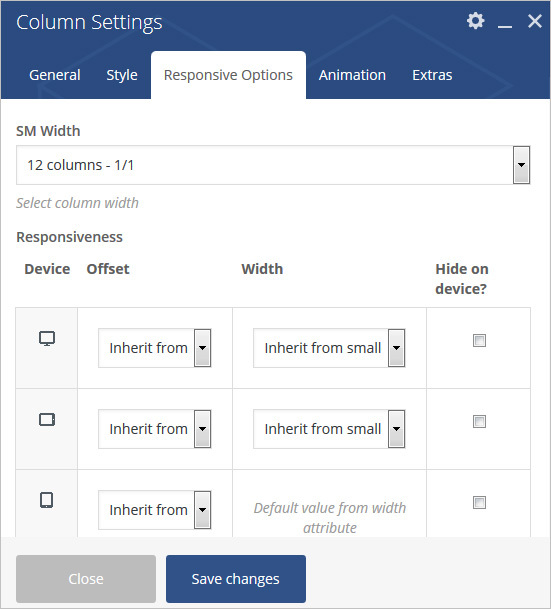 Fullscreen Class – Add full-screen class in column. Alignment Setting – Select Yes to Set Alignment for desktop, ipad and mobile. Border Setting – Select Yes to Set Border for desktop, ipad and mobile. Required Display Settings? – Select Yes to Set Display for desktop, ipad and mobile. 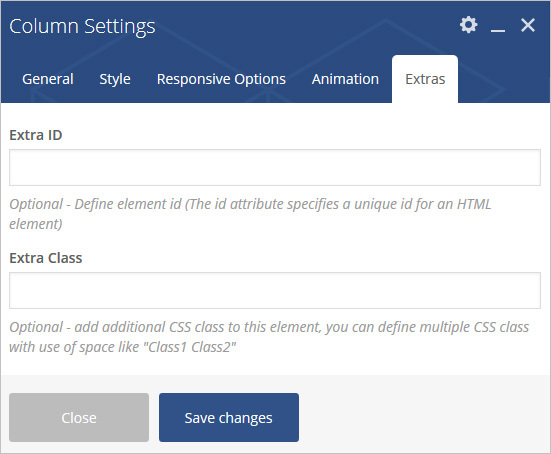 Add bootstrap classes in column for (desktop, ipad , mobile). Animation Style – Select Animation style.